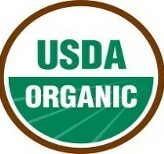 Organic shiitake mushrooms are hand-picked and delivered daily by Texas Organic Mushrooms in Denison, Texas. Our locally-grown mushrooms were first marketed in Dallas in 1991, and are the freshest available! Our business has grown by word-of-mouth recommendations from chefs at the finest hotels and restaurants, and Dallas is home to some of the most discriminating chefs in the nation. Our first customer was Chef Dean Fearing of the Mansion on Turtle Creek; the second was Chef Stephan Pyles of the Routh Street Cafe. Chef Victor Gielisse also uses our organic shiitakes. He is formerly of Actuelle in Dallas, and is now dean of culinary studies at the Culinary Institute of America®. Our shiitake mushrooms are picked 7 days a week and delivered fresh to fine restaurants, grocery stores, hotels, country clubs, and other establishments that demand only the best and freshest ingredients. Contact us to request a quote for our organic shiitake mushrooms.